Lexie earned her Canine Good Citizen title and was a Certified Therapy Dog in her younger days. Along with being owner-handled and having a fun personality, she also had a harsh rotating coat. 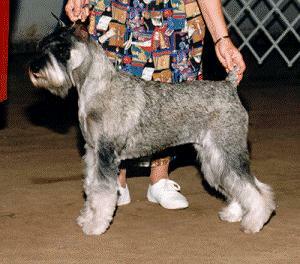 Lexie represented the breed well in appearance, size, proportion and substance while in the show ring. Up to the end, she was the pack leader and enforced it. You will live on in our hearts my little friend so true, and memories of you will fill our minds until we see you again. Puppies are occasionally available: home raised, never in a kennel, and bred for temperament, coat and substance. 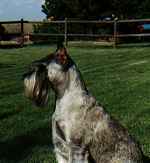 All breeding stock OFA and CERF certified and Thyroid tested. For info: call 918.446.6761 (evenings), or FAX 918-224.6866, or send us e-mail at korppret@deltamfg.com.